How do I keep the faith and save my soul? You have said that you you are clinging to Mary. You have been doing what you ought all along, so I know you possess a Traditional devotion to the Mother of God. In THE APOSTOLIC DIGEST there is an entire section devoted on Our Lady: the necessity of her intercession and our devotion to her in order to be saved. The Saints held without exception that those who have no devotion to Mary are lost and that those who do have this true devotion, are under her protection, that she will not let one of her children be lost, that this tender devotion is a sign that they are counted among the saved. Out of the depths of this valley of tears, through which suffering humanity painfully struggles, up from the billows of this sea, endlessly buffeted by the waves of suffering, we raise our eyes to thee, most beloved Mother Mary, to be comforted by the contemplation of thy glory and to hail thee as Queen of Heaven and earth, Queen and Mother of mankind. With legitimate filial pride, we wish to exalt thy queenship and to recognize it as due to the sovereign excellence of thy entire being, O dearest one truly Mother of Him Who is King by right, by inheritance and by conquest. In the heights of Heaven, thou doth exercise thy primacy over the choirs of Angels, who acclaim thee as their sovereign, and over the legions of Saints who delight in beholding thy radiant beauty. So, too, reign over the entire human race above all by opening the path of faith to those who do not yet know your Divine Son. Reign over the Church which acknowledges and extols thy gentle dominion and has recourse to thee as a safe refuge amid the calamities of our day. Reign especially over that part of the Church which is persecuted and oppressed; give it strength to bear adversity, constancy never to yield under unjust compulsion, light to avoid falling into the snares of the enemy, firmness to resist overt attack, and at every moment unwavering faithfulness to thy kingdom. Reign over the minds of men, that they may seek only what is true; over their wills, that they may follow solely what is good; over their hearts, that they may love nothing but what thou thyself loveth. Reign in the streets and the squares, in the cities and the villages, in the valleys and the mountains, in the air, on land and on the sea; and hear the pious prayer of all those who recognize that thine is a reign of mercy, in which every petition is heard, every sorrow comforted, every misfortune relieved, every infirmity healed, and in which, at a gesture from thy gentle hands, from death itself there arises smiling life. Obtain for us that all who now, in every corner of the world, acclaim and hail thee Queen and Mistress, may one day in Heaven enjoy the fullness of thy kingdom in the vision of thy Divine Son, Who with the Father and the Holy Ghost, liveth and reigneth for ever and ever. Amen. We must do our actions in Mary. Our Blessed Lady is the true terrestrial paradise of the New Adam, and the ancient paradise was but a figure of her. In this earthly paradise we have riches, beauties, rarities and inexplicable sweetness, which Jesus Christ, the New Adam has left here; it was in this paradise that He took His complacence for nine months, worked His wonders and displayed His riches with the magnificence of a God. It is in this earthly paradise that there is the true tree of life, which has borne Jesus Christ, the Fruit of Life, and the tree of knowledge of good and evil, which has given light unto the world. There are in this Divine place, trees planted by the hand of God, and watered by His Divine Unction, which have borne and daily pear fruit of Divine taste. It is only the Holy Ghost, Who can make us know the hidden truth of these figures of material things. The Holy Ghost, by the mouth of the Father, also styles the Blessed Virgin, the Eastern Gate, by which the High-Priest, Jesus Christ, enters the world, and leaves it. By it, He came the first time, He will come the second, by it. Finally, we must do all our actions for Mary, we must take her for our proximate end, our mysterious means, and our way to go to Jesus Christ. Supported by her protection we must undertake and achieve great things for Christ. We must defend her privileges, when they are disputed. We must stand up for her glory when it is attacked; we must draw all the world, if we can, to her service, and to this true and solid devotion. We must pretend to no recompense for our little service, except the honor of belonging to so sweet a Queen, and the happiness of being united through her to Jesus, her Son, by an indissoluble tie, in time and in eternity. Hail, then, O Immaculate Mary, living tabernacle of the Divinity, where the Eternal Wisdom willed to be hidden and to be adored by Angels and by men! Hail, O Queen of Heaven and earth, to whose empire everything is subject which is under God. Hail, O sure refuge of sinners, whose mercy fails no one. Hear the desires which I have of the Divine Wisdom; and for that end receive the vows and offerings which in my lowliness I present to thee. I, N., a faithless sinner, renew and ratify today in thy hands the vows of my Baptism; I renounce forever Satan, his pomps and works; and I give myself entirely to Jesus Christ, the Incarnate Wisdom, to carry my cross after Him all the days of my life, and to be more faithful to Him than I have ever been before. In the presence of all the heavenly court I choose thee this day for my Mother and mistress. I deliver and consecrate to thee, as thy slave, my body and soul, my goods, both interior and exterior, and even the value of all my good actions, past, present and future; leaving to thee the entire and full right of disposing of me, and all that belongs to me, without exception, according to thy good pleasure, for the greater glory of God in time and in eternity. I can think of no easier to read, and to delight in, than St. Louis de Montfort's Secret of Mary. The Secret of Mary: HERE. The spiritual life is quite a cognizably distinct thing from the worldly life; and the difference comes from prayer. When grace lovingly drives a man to give himself up to prayer, he gets into the power of prayer, and prayer makes a new man of him; and so completely does he find that his life is prayer, that at last he prays always. His life itself becomes one unbroken prayer. Unbroken, because it does not altogether nor so much reside in methods of mental or forms of vocal prayer; but it is an attitude of heart by which all his actions and sufferings become living prayers. The life of prayer, therefore, which is the badge of the supernatural man, is the praying always. But what is it to pray always? What did Our Lord mean by it? To pray always is always to feel the sweet urgency of prayer, and to hunger after it. Grace is palpably felt and touched in prayer; hence it strengthens our faith and inflames our love. The peculiar trial of hard work is that it keeps us so much from prayer, and takes away the flower of our strength before we have time for prayer, and physical strength is very needful for praying well. In consequence of this attraction we acquire habits of prayer by having set times for it, whether mental or vocal. Not that a mere habit of praying will make anyone a man of prayer. But God will not send His fire, if we do not first lay the sacrifice in order. We must also practice ejaculatory prayer, or aspirations, as well as make frequent spontaneous aspirations to Heaven during the day, at will, and out of the fervid abundance of our hearts. Besides this, there is a certain gravitation of the mind to God in a prayerful way, which comes from love and from the practice of the Divine presence, and which ranges from intercession to thanksgiving, and from thanksgiving to praise, and from praise to petition, according as the moods of our mind change, and with hardly any trouble or any conscious process. To pray always is, furthermore, to renew frequently our acts of pure intention for the glory of God, and thus to animate with the life of prayer our actions, conversations, studies and sufferings. This is to pray always: and see what comes of it! Into what a supernatural state it throws a man! He lives in a different world from other men. Different dwellers are round about him, and are his familiars, God, Jesus, Mary, Angels and Saints. They are the undercurrent of his mind, and often preside over the very expression of his thoughts. He has not the same interests, hopes and aims as other men. When he wishes to do anything, he goes to work in a different way from others, and he tests his success differently. Indeed, in nothing is he so remote from men of the world as in his tests of success, which are wholly supernatural and full of the unearthly spirit of the Incarnation. His views of the world are strange, although they are definite and clear, because somehow he sees the world through the vision of the Church; and he judges of the relations and distances of things according as they group around the central Faith. His affections become shifted, so that he is regarded even by those near him as an impassible man, and by those further off as a cold heart that is destitute of natural affections and the keen sympathies of kindred. Moreover the temper of repose which prayer breeds is unfavorable to success and advancement in a worldly sense, because it is unfavorable to the eager desire and restless pursuit of them. This influence of prayer comes out in a man's opinions and judgments of men, measures and things. It is heard in his language. It is seen in his tranquility. It is recognized in his dealings with others, and is the ruling principle of his occasional apparent want of sympathy with others. Such is a man whose faculties, affections, and in some degree even his senses, have been mastered by the spirit of prayer. We should expect it would win men by its gracefulness, like an Angel's presence. But it is not so, because its beauty requires a spiritual discernment. To the eyes of the world such a man has all the strangeness and awkwardness of a foreigner, which in sober truth he is. Yet such a man is striking to others in afterthought . . .
--------- Fr. Frederick Faber, GROWTH IN HOLINESS, TAN Books, pp. 177-179. I see that the absolute necessity of prayer is taught throughout the Holy Scriptures, and by all the holy Fathers; while, on the other hand, I see that Christians are very careless in their practice of this great means of salvation. And, sadder still, I see that preachers take very little care to speak of it to their flocks, and confessors to their penitents; I see, moreover, that even the spiritual books now popular do not speak sufficiently of it; for there is not a thing preachers, and confessors, and spiritual books should insist upon with more warmth and energy than prayer; not but that they teach many excellent means of keeping ourselves in the grace of God, such as avoiding the occasions of sin, frequenting the sacraments, resisting temptations, hearing the Word of God, meditating on the eternal truths, and other means,-----all of them, I admit, most useful; but, I say, what profit is there in sermons, meditations, and all the other means pointed out by masters of the spiritual life, if we forget to pray? 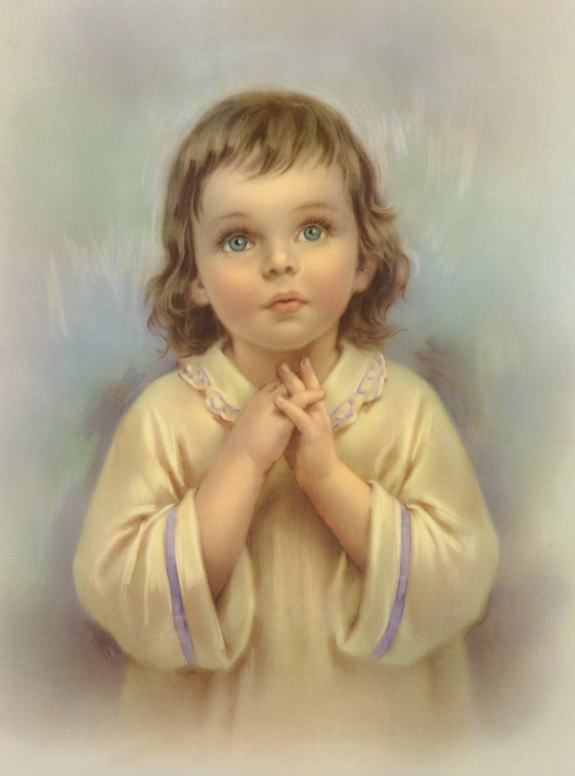 since our Lord has declared that he will grant his graces to no one who does not pray. "Ask and ye shall receive." [John 16: 24] Without prayer, in the ordinary course of Providence, all the meditations that we make, all our resolutions, all our promises, will be useless. If we do not pray, we shall always be unfaithful to the inspirations of God, and to the promises we made to him. Because, in order actually to do good, to conquer temptations, to practice virtues, and to observe God's law, it is not enough to receive illumination from God, and to meditate and make resolutions, but we require, moreover, the actual assistance of God; and, as we shall soon see, he does not give this assistance except to those who pray, and pray with perseverance. The light we receive, and the considerations and good resolutions that we make, are of use to incite us to the act of prayer when we are in danger, and are tempted to transgress God's law; for then prayer will obtain for us God's help, and we shall be preserved from sin; but if in such moments we do not pray, we shall be lost. We ought never to begin our day without offering ourselves to Jesus and Mary, asking that They work through us. This offering is like a little consecration and sets the tone for the rest of the day. Forsake it and chances are you efforts will be lukewarm at best. Catholic Tradition has provided two offerings, but there are many other Traditional offerings in Missals, prayer books, works on the Sacred Heart and the Immaculate Heart, and on holy cards. Catholics from the beginning were taught daily union with God through acts of faith, hope and love, the three infused theological virtues that we received at Baptism. My God, I believe in Thee, because Thou art Truth itself. And I hope in Thee because Thou art infinitely good. and I love my neighbor as myself for the love of Thee. because Thou art infinitely perfect, and sin offends Thee. I resolve to never more offend Thee. Another magnificent assurance of salvation is Our Lady's Brown Scapular. One of the great mysteries of our time is that the great majority of Catholics either ignore or have forgotten the Blessed Virgin Mary's promise that "Whoever dies wearing this scapular shall not suffer eternal fire." She further says: "Wear it devoutly and perseveringly. It is my garment. To be wearing it means you are continually thinking of me and I, in turn, am always thinking of you and helping you to secure eternal life." The Scapular Medal should not be worn in place of the cloth Scapular without sufficient reason. Mary cannot be pleased with anyone who substitutes the medal out of vanity or fear to make open profession of religion. Such persons run the risk of not receiving the promise. The medal has never been noted for any of the miraculous preservations attributed to the Brown Cloth Scapular. Each time the Scapular is kissed with devotion, a partial indulgence is granted to those in the state of grace. This indulgence does not apply to the medal. To obtain the fullest possible benefits from the Brown Scapular devotion, one must be validly invested [sometimes called enrolled] in the Brown Scapular by a priest. Any priest may bless and enroll in the Scapular. After having received the initial blessed Scapular from a priest, no other Scapular need be blessed before wearing. The blessing and imposition are attached to the wearer for life. Every priest has the privilege of enrolling in the Scapular. During the Scapular Anniversary celebration in Rome, Pope Pius XII told a very large audience to wear the Brown Scapular as a sign of consecration to the Immaculate Heart of Mary. Our Lady asked for this consecration in the last apparition at Fatima, when she appeared as Our Lady of Mount Carmel, holding the Brown Scapular out to the whole world. It was her last loving appeal to souls to wear her Scapular as a sign of Consecration to her Immaculate Heart. For more reading, click HERE. To Read About the Devotion and the Requirements for Fulfillment, Click HERE. For Printable Text, Click HERE. For Acts of Reparation and Consecration, See HERE. Pope Saint Pius X said: "If you want peace in your heart, in your home, in your country, assemble together every night and say the Rosary." Many complain that it is a tireless repetition-----that they cannot meditate on the mysteries. Our Blessed Mother gave this advice to Saint Dominic: "This is why, before doing anything else, priests should try to kindle a love of prayer in people's hearts and especially a love of my Rosary. If only they would all start saying it and persevere, God, in His mercy, could hardly refuse to give them His grace. So I want you to preach my Rosary!" At Fatima Our Lady requested the daily Rosary for the conversion of sinners and the Consecration of Russia to her Immaculate Heart. A caution here: the Rosary in its entirety by Tradition contains 3 sets of mysteries of five decades each; generally the faithful who have many duties say one set of mysteries of five decades, which is what the daily Rosary generally consists of to fulfill a recitation, the mysteries rotating throughout the week. There are some people who think that the multiplication of prayers is piety in of itself. They are sadly mistaken. Some there are who rush through the daily recitation of all 15 decades with half their attention elsewhere in a careless fashion, hardly worthy of God and His Blessed Mother. Better to say 5 decades devoutly than 15; and for those who may find even this amount taxing, for whatever justifiable reason, when they first set out to be devotees of Our Lady, are better off saying daily the three devout Hail Marys, rather than insult Heaven. The recitation of this little devotion is a very great work that brings the grace of perseverance and eventually the delight in the whole Rosary of five decades daily. There are those who are able to say the entire Rosary every day, dividing the 3 sets of mysteries throughout the day, such as the Joyful in the morning, the Sorrowful in the afternoon and the Glorious at night, for instance. If you are able to do this, than by all means. Two more notes of caution: some liberals are fond of repeating the phrase, "The Rosary is useless repetition" or words to this effect, meaning it is a waste of time or to be discouraged because modern man has no need of repetition. This is false, but a rationale for their distaste for Our Lady's Rosary. The Mass is a repetition of Calvary in an unbloody manner; the same with a novena; in fact almost every known devotion. Why else call them devotions? When you love someone, you don't just tell them that you love him once, do you? You tell him over and over, repetition, and usually with the same favorite phrases. Human beings need repetition just as the world around us does, the seasons in a constant cycle, the night into day, etc. Disregard any such discouragements as they are not from God and Holy Mother Church, but spring from a hardened heart or lukewarm soul. When you are making progress in daily prayer, especially the Rosary, so that you beginning to have a spirit of prayer, Satan renews his efforts to dissuade you from your "appointed rounds". He will whisper in your ear little agonies to induce a relapse into lukewarmness: "You are a sinner, just think of all the sins you are guilty of"; "How can Mary look at you, when you have been unfaithful? "; and many other such ideas. Mary is our Mother because Jesus gave her to the Church through Saint John at the foot of the Cross, and thus to us. She gives herself to us in every Hail May because as soon as we greet her as the Archangel Gabriel did, "Hail Mary", she comes to meet us like only a mother can. What good mother despises her worst child? None, for it is the wayward or reluctant child that needs mothering most. Good mothers always give more to their "littlest children". And Mary is not just a good mother, she is the greatest of all mothers! Dispel any such fears that the devil tries to implant so impudently and out of hatred of the Rosary! The most hardened sinners have been converted through the power of the Rosary, if they persevere! For the Perpetual Rosary on line, click HERE. They are blind? He throws light on their soul. He makes them see the black ingratitude, the malice of sin. It is not as if they had sinned without knowing it. They are listless, indifferent, apathetic? He rouses them from their lethargy by allowing them to see the deaths, the punishments of others. They are absorbed by business, by pleasures? He is constantly calling them by the voice of conscience, showing them the dangers they run, offering them wonderful rewards if they are good. What does He ask them to do? Nothing difficult, nothing hard, especially if they will only use the graces and aids He offers them. Then, if of our own free will we rebel and continue to rebel, we finally bring the thunders of His justice upon our heads. His justice must punish obstinate sin. Many of those who ridicule Confession during life change their minds as death approaches and seek, alas in vain, for the consolation they had for so many years scorned. D'Alembert wished to be reconciled with God on his deathbed, but Condorcet, his false friend, saw to it that the priest could not get access to the dying man, and so he died a prey to bitter remorse and appalling fears. Diderot showed signs of repentance and had even spoken a few times with a priest. His friends, alarmed at his change of views and fearful lest his conversion might bring ridicule upon their philosophy, hurried him away to the country where the priest could not visit him. We leave our readers to decide whether the Good God is severe. Practicing Catholics have, of course, no excuse. They have the Divine remedy given by Jesus Christ. He saw more clearly than all others the havoc wrought by sins of the flesh and, in the plenitude of His Mercy and Love, gave us a most efficacious cure for them. Experienced priests see this every day of their lives. Let the most abandoned sinner come to them, a man or woman sunk in vice, surrounded by temptations; if only the priest can get these poor weaklings to come frequently to the Sacraments, he will soon have the satisfaction of seeing them thoroughly and entirely regenerated. Therefore, frequent Confession-----weekly Confession-----is the great bulwark against sin! Many Catholic doctors have the greatest confidence in the efficacy of this Sacrament and recommend it to their patients and friends, and it is a pity that all doctors do not see their way to do the same. The object and the principal motive of devotion to the Sacred Heart is the immense love which Jesus Christ has for men who, for the most part, have nothing but contempt or at least indifference for Him. The end which is proposed is, firstly, to recognize and honor as much as lies in our power by our frequent adoration, by a return of love, by our acts of thanksgiving and by every kind of homage, all the sentiments of tender love which Jesus Christ has for us in the adorable Sacrament of the Blessed Eucharist, where, however, He is so little known by men, or at least so little loved even by these people who know Him; secondly, to make reparation, by all possible means, for the indignities and outrages to which His love has exposed Him during the course of His mortal life, and to which this same love exposes Him every day in the Blessed Sacrament of the altar. The Catholic Church is the Mystical Body of Jesus Christ; He gives us His Actual Body, His Actual Blood, in the Holy Sacrifice of the Mass, the great Mystery of Faith. Just as His Body was beaten and seared with nails and thorns, torn and bruised during the Passion, His Mystical Body must undergo its passion also. We are His servants and as you know from your training as a Catholic, the servant cannot be greater than the Master. The ordeal of Jesus is also the ordeal of His Church, because of the sins of Catholics and because of the hatred of the world. If we but meditated for a few minutes a day on a reading from one of these books, actual graces would abound. But sometimes we weak sinners prefer to wallow in our misery, even after we have repented, rather that seize the whole affair as a golden opportunity to love Our Savior more to render Him the praise we ought. For His will is just and whatever He wills, it is perfectly sent for our salvation. Ask Him for the grace to understand this mercy, for His chastisements are both punishment and mercy, mercy for the sinner, for sinners. If he stopped sending us crosses or permitting us crosses caused by others, then we would think He has forsaken us. Now, this is not easy to do, for even He uttered from the Cross, "My God, My God, why hast Thou abandoned Me!" Every Lent Catholic Tradition has a Passion directory, rotating the presentations over a three-year cycle. Each year the name of the Lenten presentation is different, so you will need to visit on Ash Wednesday through Holy Saturday the seasonal link. The Communion of Saints is the doctrine that teaches us that the Catholic Church is composed of three parts, each sharing in the spiritual goods of the Church: The Church Militant or the faithful on earth, The Church Suffering or the Holy Souls in Purgatory, and the Church Triumphant, or the Saints in Heaven. This shared participation is also enjoyed by the Holy Angels and any justified person awaiting Baptism or membership in the Church. Now we can pray to the Saints and they can intercede on our behalf. We do not pray for them as they are in possession of the Beatific Vision. The Holy Souls in Purgatory cannot pray for themselves, but their prayers are meritorious for us, the Church Militant, and we should petition them AND FOR THEM; charity for the Suffering Souls is a thoroughly Catholic action and we ought to be motivated out of sheer gratitude to God for these Souls who are assured of Heaven. Neglect of their plight, some of whom will be there until the end of the world, is a sin of omission and shows ingratitude and a coldness of heart if it continues over a long enough period of time. See below. If, of all graces, that of perseverance is the most precious, because it is the one which makes all the others of lasting value, certainly among the vices which beset the devout life, spiritual idleness is one of the chief; for it is the contradictory of perseverance. Yet I doubt whether, practically, we regard it with the fear which it deserves. All the dispositions of our normal state, fatigue especially, are desolated by it. Struggle is tempted to give way to laziness, and to take recreation away from Christ. Fatigue is sorely drawn in its aching lassitude to falloff from dry interior faith, and to seek consolation in creatures, a step almost as fatal as going to sleep in the snow. And rest murmurs when the trumpet sounds to renew the fight, and would fain prolong itself by natural means when supernatural means have ceased. I suppose it may be said that every man is an idle man. Did anyone ever see a man who did not naturally gravitate to idleness, unless perchance he had a heart complaint? Nay, so natural is it, that very idle men plead its very naturalness as a proof that it is almost irresistible. No man does hard work naturally. He must be driven to it, no matter whether it be by the love of money, or the fear of Hell. . . . Nothing is more rare in the Church than a true contemplative vocation. Consequently, it is almost impossible for the generality of devout persons to spend their whole time in direct acts of the virtue of religion, and the cultivation of interior motives and dispositions. Then, on the other hand, they conceive, not always judiciously, that their former habits of recreation, and their old amusements, are to be altogether eschewed. So that their piety creates a sort of void in them, and gives them nothing to fill it up with. This is one great reason why those who have no regular profession, or adequate domestic occupation, should engage themselves in some external work of zeal and mercy. . . .
As this idleness is an effectual bar to progress, it is important that we should examine the matter narrowly; and if we do so, we shall find that there are seven developments of this spiritual idleness, about each of which something shall be said. The first of them is what is usually called dissipation. It is easy to describe, but not easy to define. It is a sin . . . one of its most dangerous characteristics is that a person is rarely aware, at the time, that he is guilty of dissipation. Its effects upon our devotion are quite disproportioned to the insignificance of its appearance. It can destroy in a few hours the hard-earned graces of months . . . Let us see in what it consists. Everyone knows after he has been dissipated that such has been the case; but he does not always see in what his dissipation has consisted. The desolation of his soul is a proof to him that something has been wrong; but he cannot always give the wrong its name. Dissipation consists, first of all, in putting things off beyond their proper times. So that one duty treads upon the heels of another, and all duties are felt as irksome obligations, a yoke beneath which we fret and lose our peace. In most cases the consequence of this is that we have no time to do the work as it ought to be done. It is therefore done precipitately, with natural eagerness, with a greater desire to get it simply done than to do it well, and with very little thought of God throughout. . . . Another symptom of dissipation consists in over talking and immoderate visits of civility. . . . We must also be on guard against the habit . . . of being always about to begin some occupation and yet not beginning it. This wears away our moral strength . . . The consequences are self-dissatisfaction, the cankerworm of all devotion. . . . followed by ill-temper . . .
--------- Fr. Frederick Faber, GROWTH IN HOLINESS, TAN Books, pp. 163-166. The second deadly idle is sadness and low spirits. These are venial sins when indulged in and are unworthy of those souls seeking sanctity. Some mistakenly think that sadness consists of a dignified inner trial, but in reality this state tends to make us querulous, not patient, and thus does not consist of humility and it is not repentance either, for it causes vexation with self, not true sorrow for sin as an offense against God. The soul of sadness is self-love. The more we work at rooting out the smallest of venial sins, the more cheerful we are inclined to be. Nothing gives the devil more power over us than sadness, and this includes most instances of mortal sin, because sadness blunts the Sacraments' effects, turning the sweet things into bitter; the morbid danger of sadness is that it renders us overly sensitive so that we cannot bear pain of all kinds, which leads to a lack of courage. If we should find ourselves in this languid morbidity we must not abandon our devotions, no matter how difficult, as this is what encourages the devil. These first two forms of spiritual idleness are a part of sloth, but there is a third, a general languor itself. Languor consists of making resolutions then breaking them, continually. This moral malady then saps our physical strength, even though we may be unaware of such a cause, the body wears out, rejects exertions, because the soul is torpid from the little negligences of conscience that make us peevish, passively distasteful of spiritual goods that in turn makes us so filled with disgust that we cannot seem to act, the disgust itself having a hold over us. The next deadly idle can be called useless industry, which is a great temptation to the more active-minded. Now, there is nothing in a licit, healthy recreation that prevents us from uniting ourselves to God. However, there are a many occupations of relaxation that are not meritorious: for instance reading material that brings distractions to our subsequent prayers, that may tempt us otherwise, supplying ready-made images that interfere with a meditation; writing letters for the sake of dwelling on ourselves or the idolatry of family life. The rule for correspondence ought to follow the rule of silence. Building the proverbial castles in the air is another useless industry, and far from being the most innocent because no one builds a castle in the air without some honor or praise coming to him as this is the nature of these castles. Having proposed these dangers to be attuned to, in no way can it be said that we must not have recreation, it is the kind and the proportion and our individual states of life. Recreation must be undertaken with the intention of pleasing God. The fifth peril is not so much sloth but a type of gluttony: not so much eating to the point of harming the body, but the very reason why we eat: to enjoy, even if we are moderate in what we partake in. Again, the spiritual man and woman must have purity of intention, that is to please God in his partaking of meals, and not the satisfaction of a natural inclination. While recalling the wasted years that are past, I believe that Thou, Lord, can in an instant turn this loss to gain. Miserable as I am, yet I firmly believe that Thou can do all things. Please restore to me the time lost, giving me Thy grace, both now and the future, that I may appear before Thee in "wedding garments." Amen. The seventh and last spiritual idleness is loquacity, of which we spoke of in the section above on Humility. Develop a spirit of oblation, that is ask God for His love and to love Him more and more, and the more you do learn to love Him, the more you will want others to love Him and want to make sacrifices for sinners. Learn to recognize Jesus' yoke as light, that He is a gentle Master, thus acquiring a deep, calm reverence through appreciation and gratitude. Unite every word, though and action, no matter how seemingly insignificant to His Sacred Heart and joined to His holy will. This offering must include any licit recreation that we take for rest and renewal of our bodies and spirit. But do not overburden yourself with devotion after devotion for the sake of multiplying words. Do not despise any illness He sends you, but make of it a golden balm of opportunity; give thanks to him for these privations of health. Offer up solitude for the grace of a holy death. Let all things remind you of God. If you see tulips in your spring garden, notice that they are like graceful chalices or cups that hold the dew of early morn. If you hear the wind whip through the trees, think of those before the mast at sea and say a prayer for their safe harboring. If you espy an immodestly dressed woman, offer up an aspiration for her conversion, and ask God to grant you the grace of more self-effacement. If you hear His Holy Name taken in vain, say an aspiration of reparation. Every time someone says the name of Jesus in sweet and holy conversation, faithfully bow your head in a little nod out of reverence. And so forth. If you need to memorize a phone number, such as 391-4675 use Church facts to help recall the numbers: 3 for the Trinity, 9 for a novena, 1 for True Church, 4 for the marks of the Church, 6 for the precepts of the Church, 7 for the Sacraments and 5 for the Holy Wounds, and so forth. There have been many Saints who never read a book, either because they lived before the printing press, or because they had no opportunity through the lack of schooling or some other privation. And it is true that they became Saints, their school of learning through daily duty and prayer and meditation. Yet. we have been given an intellect, one of the faculties of the soul and it ought to be used especially for nourishing the soul, if at all possible. In the age of universal education and mass Catholic media, finding a sound Catholic work is not difficult and reading to increase our knowledge and love of God is almost always not an option, that is in some amount. The inspiration of just one, good Catholic book, untainted by error, has made teachers, priests, theologians, authors, and leaders of every kind. The first good book of this kind that one reads can appear and has appeared before the earnest reader throughout his life much like a lighthouse beacon on a dark and storm-tossed sea. A really good Catholic work, if read not in haste, can keep one out of imminent danger. How often it is that we have a vague idea that we are missing something, or we think we perceive that we are restless, or otherwise know that we are seeking some one thing but cannot grasp what it is, our intuition still bidding us on. Then, "out of the blue" [there is no such thing with God] we spy a book or are moved to pick a certain book up and when we open it, why there it is! Just what we needed, we know this as soon as commence reading. This urge comes from actual grace, a supernatural, momentary help given by God in order to enlighten the mind and strengthen the will, so we may better perform spiritual acts. A Catholic's character is shown by the kinds of books he reads, and the same goes for television programs and other sources of information, knowledge and recreation. And what is true of sound Catholic reading is just as true in reverse for bad books, cheap novels, gossip magazines and the like, our sense of curiosity not out of wonder for the works of God, "better things", but to titillate our baser instincts. A bad book, no matter how much some it appears good or not so bad, is a robber, a thief and even a murderer. Better never to have read one single line in a good book than so much as a word [or picture] in one of these character-destroying works. The case for the necessity to home school should make itself to anyone who is only half paying attention to the local news and the expansion of the new age socialistic indoctrination in the government schools: attitudes reflecting liberal ideology are the center exhibit. Sexual training even when parents object or "opt out", the inflation of grades due to a sense of "entitlement" teachers who cannot spell in too many cases, and who could not pass a re-qualification exam, thus whenever such a process is proposed, the teacher's union shoots it down, and on and on. the government schools are almost all corrupt and corrupting, morally bankrupt, educationally unsound. Because of the states' increasing pressure to force home schoolers to adopt the government school standards, including meddling in medical matters, even though currently federal law does not permit this, the red tape, the hassle, not to say the financial burden on a large family that may partially depend on the mother working part time, home schooling might seem more than daunting. Then there is the matter of temperament, some mothers, who are the overwhelming majority of home school teachers, are not psychologically predisposed to the responsibility of full time mothering that includes a lot of study in various subjects. While such mothers are the few, the problem does exist, it is real, and uncharitable for those lacking this temperament to impose a "must" on them. Yet, with the rarest exceptions it is a must. So what do mothers who are overwhelmed in this manner do and is there a possible solution? Home schoolers network and are organized in their locales and on the state level. So too, Catholic home schoolers. It would seem to me that home schooling could be a shared effort, that is, a little more than it is already, so that these mothers could home school with the help they deserve, but do not want it from the state, the source of the problem in the first place. Now, this is over simplification, of course, but it is an idea seriously proposed. Barring this the only alternative would be to form a Traditional Catholic school, which is generally too much of a financial hardship in rural areas. If you are considering home schooling, you will the assistance of Traditional Catholic resources, bypassing as much as possible the Novus Ordo home school networks because at least 2 of the national ones have become establishment agents, infected with the virus that eventually causes full-blown modernism. Many of the parents involved with these are well-meaning but hapless because they are not politically astute enough to realize that there is a Trojan Horse in their midst. They would know of other Traditional Catholic families in your locale, those who may be using their program which began in 1977. I do not recall the name of one of the NO organizations, but there is one that I do remember: NACHE. Avoid it. Anyway, OLV should be able to provide you with some pointers and head you in the right direction to see if home schooling is a real possibility for your family and you will have a good idea of all the resources available and a way to network.